Linda Carr of Warwick, NY passed away peacefully on February 10, 2019 surrounded by her loving family at St. Anthony Hospital. She was 76 years old. Born to Arthur and Esther (Lust) Gove on March 24, 1942 in Warwick, NY. 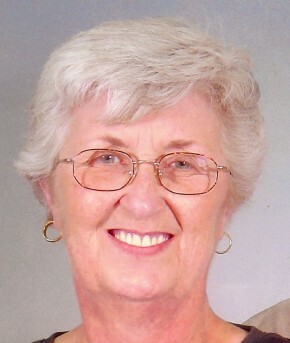 She was Treasurer for the Village of Warwick prior to retirement. She was also an Avon Sales Representative for many years. Linda is survived by her husband of 60 years, Edward; daughter Shelley of Warwick, NY; sons Larry Carr and his wife Kelly of Front Royal, VA and Mark of Reynoldsburg, OH; five grandchildren: Kady Adams (Ford), Greg Carr, Wes Carr, Matthew Carr, and Jason Carr; and three great-grandchildren: Wells, Hattie and Rose. Visitation will be on Wednesday, February 13, from 3 to 6 p.m. at Lazear-Smith & Vander Plaat Memorial Home, 17 Oakland Avenue, Warwick, with a funeral service at 6:00 p.m. Those who would like to attend the graveside service should meet at the funeral home at 11:00 a.m. on Thursday. Interment will be in Warwick Cemetery. In lieu of flowers, please consider a donation to the Warwick Valley Humane Society, P.O. Box 61, Warwick, NY 10990 or the Warwick Valley Ecumenical Food Pantry, 135 Forester Avenue, Warwick, NY 10990. At the time of funeral service we commemorate and reflect on the life of Linda M. Carr. In the days, weeks and months ahead it will be a comfort to family of Linda M. Carr to continue to remember a life well lived. Please select a date on the Calendar of Care to be reminded via email to reach out and continue the caring for family of Linda M..